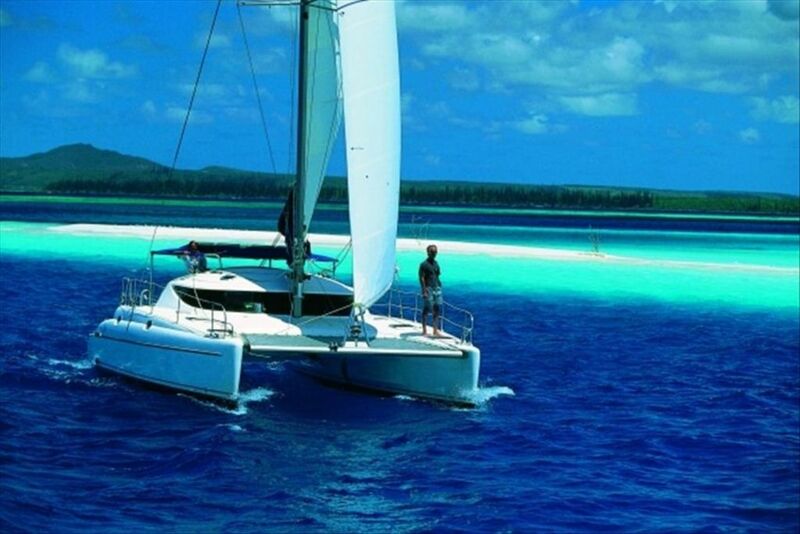 SAILACAT is pleased to offer a full range of DAY SAILS aboard a state of the art Sailing Catamaran. Days start at $1850 -$2150 for 2-9 guests , plus 20% service fee . Yacht can carry up to 12 guests daysailing, 2 couples overnight. BnB Overnights with sailing from $2600-$5600, for 2-4 guests in 2 private cabins. Sleep aboard Boatel for 2., midweek upon request. Our most popular summer offering is our 4 hour day sail with Beach swim break. 12 guest Max. Daysails & Sunset cruises are extremely popular for family reunions, Bach parties , Anniversaries and Birthdays. Sailacat has become a tradition for families visiting Sag Harbor & the East end. Our fully crewed offerings, and our bareboat charters are a unique way to experience the charm of the Hamptons. Food and Beverage service is usually self catered on day Sails , with most guests bringing their own fare aboard the Yacht. Our courteous professional crew has decades of hospitality experience, including high end catering, 5 star boutique hotel management ( NY & London) and we bring that experience to Sailacat for your pleasure. Whatever your fantasy of the perfect Cruise is, be it pure pleasure or educational, we can deliver. Is it time for a second honeymoon? Shall we greet you with a refreshing Bellini? How about some delectable hor' douv ers? Perhaps we'll start your adventure with a romantic sunset sail to a remote cove, where we'll drop anchor for the night. Each Sailacat adventure is designed personally, to maximize your enjoyment aboard. Just ask. Your pleasure is our business! Whether it's a full English Breakfast or a simple fresh fruit tray , each meal on our bnb charters is lovingly prepared to suit. We often have fresh catch and shellfish in season. Great food and great sailing in world class locations make for memories of a lifetime ! Allow us to introduce you to some of the worlds most Beautiful Beaches, in either the Hamptons or the out Islands of the Exuma cays in the Bahamas. You may enjoy swimming, kayaking, hiking, shelling , beach yoga or just simply relaxing, away from it all. Join us aboard the Catamaran and see why nearly most our guests are repeat customers or referrals from guests who sail with us year after year. We look forward to giving you our best! Welcome to Sailacat! Come share our contagious love of the sea. Decades of hospitality experience, combined with a deep love of the cruising lifestyle, is the inspiration behind Sailacat. We've found good food, good fun and great sailing to be a wonderful way to share some of the best the Hamptons has to offer. Special Thanks to NY Newsday and the Southampton Press for the great write ups and reviews! Sailacat is a truly unique experience. Sailing the Bahamas, East Coast & NY's Hamptons is a great way to explore. The cat has hosted many many smiles. Come SAILABRATE with us! Your pleasure is our business. It's not just about hospitality and customer service, it is ALL about hospitality and customer service! Sailacat has extensive cruising grounds, from Bahamas to the Hamptons, , including the East Coast, Keys and soon SWFL. Each year, in addition to our summer in the Hamptons offerings, we offer learn to sail relocation cruises in a variety of locations open to all levels of aspirants. Join us for a unique onboard experience! * AC availabe dockside, marina fees may apply. Though technically not a swimming pool, Sailacat gives you a wide variety of beaches/swimming opportunities. The whole bay becomes your private pool. Nothing beats a refreshing sunrise dip or a moonlight serenade.